The Premier League return will be celebrated by Coral this weekend by are offering a super price boost on Arsenal vs Tottenham! Make easy money on the North London Derby by claiming 25/1 ANY Yellow Card to be shown during the match at Coral Sportsbook! Easy money! Arsenal and Tottenham are fierce rivals and there are plenty of reason to believe it will be a tough game! We can't remember any North London Derby with no bookings! And you? Claim a HUGE 25/1 ANY Yellow Card to be shown in Arsenal v Tottenham when you join Coral via BetAndSkill! If a Yellow Card is shown during the match, you will collect your 25/1 bet! 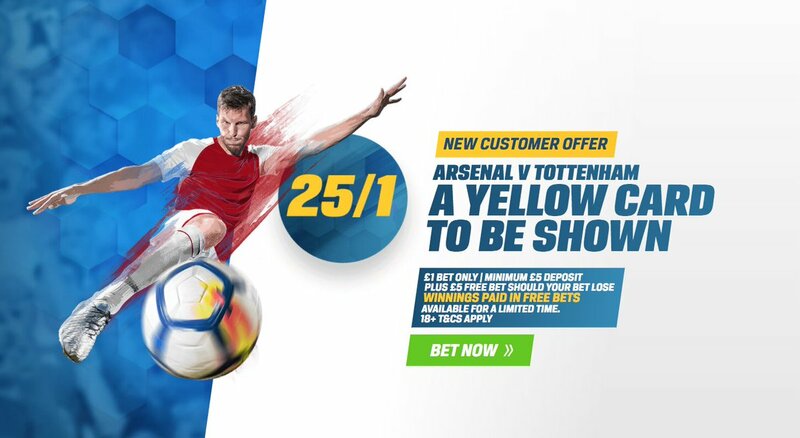 Coral are offering all our readers an unmissable 25/1 for a Yellow Card during Arsenal v Tottenham on Saturday, click this link to make easy money! Open a new Coral online or mobile account and bet on A yellow card to be shown in Arsenal v Tottenham - 25/1. 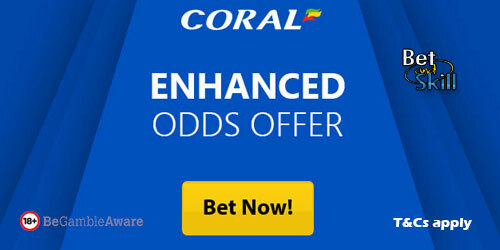 Offer available to UK & Republic of Ireland residents aged 18 years or over opening a new Online, Mobile or Coral Connect account in either £/€ currency through https://promotions.coral.co.uk/landing-pages/crazy-prices4, https://promotions.coral.co.uk/landing-pages/crazy-prices-online4 or the specific offer promotion box from coral.co.uk/sports/offers, between 08:00 GMT Thursday 16/11/2017 until 12:30 GMT Saturday 18/11/2017 with the exception of new accounts depositing funds with Moneybookers, Paysafe, Neteller or Skrill. "Get 25/1 ANY Yellow Card to be shown in the North London Derby (Coral offer - 18.11.2017)"